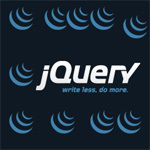 In this series of tutorial’s I will show you how to use the amazing JQuery Framework. Not only that, but I’ll show you how to use it to master your Ajax techniques. how can i download these videos. You should come often on this site to view these videos. Let the author get something in terms of website traffic. these are awesome videos. Wow! Pretty done tutorial. Very useful actually. Good Job man. Thank you so much. Is there any chance you can make Ajax and Struts2 tutorial please. It’d be better if ajax submits couple of fields in jsp to Action class, and gets response as list and display on jsp page. It would be better if it has pagination as well. Nice one man, thanks a lot. Is there any chance you can make a tutorial on Drag&Drop? Thanks a lot for these very helpful tutorials. Can you identify the source of the supporting html and php files – I couldn’t see a link on the page? Also, the most exciting video was the last on interacting with the server but it was too brief and I didn’t fully understand it. A more extended version would be welcome, maybe including a link to MySql if that’s not a step too far? I am really impressed with your tutorial. I wonder with what program you make this tutorial. How you make the different effects ? Does it works on windows as well ? I am a rookie web developer. I have seen many of your videos and I liked each and every one of them. In fact I have learned many things from them. I would be very much thankful if you can make a tut about how to make layered photoshop images with or without using divine elemente. I’m very happy that I have been able to help. I haven’t used divine element, but I’ll take a look at it. What exactly are you looking to learn? What are you trying to make? WordPress themes? Where is the actual code, can’t find anywhere where I can see the code or download it in full. just askin thinks. Thanks, found the problem i was having. Nice one dude, great video collections. I’m a back end Java developer and got an interview with a company via recruiter, I was told they’re concern I don’t have enough UI experience and they do use Jquery and AJAX (which I have no work experience). Which part of above tutorial I should focus more. btw – this is an excellent website to learn Thanks much. I wonder if you could please add some tutorials on Apache wicket, Spring and Hibernate (basically, Java technologies)? I may be getting the terminology wrong, but I was wondering if you have already done a tut on leaving the hover/active state highlighted as your visitor is on the page or linked directly to? I’ve figured out how to do this in css if you have multiple pages(only). I just have 2 html/php pages. Inside my second page I have an embedded flash movie, which I deeplink through. I figured I can use a clean way to get my url and if my button(link)is equal to my url, then it would stay highlighted/active. Everyone seems to make this so ridiculously complicated. Thank you again for your tutorials and your help. Very simple and clear to understand 🙂 and a lifesaver! Nice tutoring, you are definitely has the knack to teach. Good work and thanks for sharing. I need to fetch the data which is the output from the ps command.This I have to implement using jQuery and Ajax, Could you please help me on this? I found the videos very helpful and easy to understand. Thanks a lot!! Is there a video demo of SimpleModal – pop up? nice tutorials sir, thanks a lot. do you have any jQuery tutorials about user form validation? is yes please share the link. just wanted to say, thank you. Excellent tutorials. Glad I stumbled across them. Well-organized and succinct. I’ll contribute to support your work. I have this nit. I watched your Jacascript tutorials that were all code examples – great. Now your jquery/Ajax shorties have slides and not so much code. That’s fine to introduce topic. The problem is that you don’t know apostrophe use rules, and you use apostrophes in plurals (e.g. “function’s” (sic)) everywhere in your slide’s (sic), and it drive’s (sic) me to distraction! Please have a grammar teacher over the age of 60 review your slides, or pass them through MS Word with grammar check enabled, please! Thanks 🙂 I’m aware of the apostrophe problems and have corrected them in my new videos. There isn’t an easy way to correct past videos though. Hi there thanks for these awesome tutorials i m implementing some of your techniques in my website.It’s Cool Dude. I m very interested to take my programming skills to the next level owe to you. I was wondering is there a way in jquery to control and detect the scroll when a user scrolls down or up the page? I’ve seen that done in facebook while we scoll down the rest of the page gets loaded. I’m sure it has to do with jquery and Ajax . Lastly what software you use to create your videos? I’m glad you like the tutorials. I’m glad they have helped. You are on the right track. You can implement that feature by dynamically using Ajax techniques to pull the data from the database. Then simply append that information using jquery. That will work and I’ve showed you how to do both in my jquery tutorials. I record my screen casts with QuickTime player and edit them with iMovie. Good news! I’ll have a look. I’m an old codger who thinks details matter. Please provide tutorial for jsp and servlets..
Hello Sir ! Really thanks a lot for helping us. and i want one specific video tutorial for me if you can give me. i want the horizontal menu with submenus sliding down when we mouse over on the menu’s. Can you just post this video tutorial for me sir? Im waiting for you. thanks in advance.. ! Sorry, but I don’t have access to a Oracle database at the moment. and one more help sir, i have used $.post(“check.php”); to load this file and put it in my webpage to check whether the username is available or not. i want to know can i grab only the specific variable value from that loaded “check.php” file? if so then help me sir. I am looking for such site from long time. Best site to learn different kinds of skills. Can you prepare tutorials on VB Script, QTP, EJB, Design Patterns, Web Services and other J2EE concepts? Thanks for all you have done. Hey Me again 🙂 Am having little trouble sending the ajax requests! For some reason they are failing, its triggering error:functionName instead of success:functionName. I tried on w3school example site also, but having the same problem. Can you help me out. I opened the page http://www.w3schools com/jquery/tryit.asp?filename=tryjquery_ajax_ajax and replaced the text in dbl qts with http://www.google.com and tried, but it dint worked. In chrome-console it shows the request as canceled. http://www.w3schools.com/jquery/tryit.asp?filename=tryjquery_ajax_ajax is the URL, looks like I typed incorrectly above. What browser are you using? If the example that w3schools provides fails it sounds like you have an old browser? The example given in w3school is working fine. Am on Mac-Chrome16. I replaced the part url:”demo_ajax_load.txt” with url:”http://google.com” and then “Edit and Click me” button and when page reloaded, tested it. Doesn’t work. Working for you? That is what am seeing in my browser. I’m glad you figured it out. Every error is normally caused by something silly. Thanks guys a lot. Are there any more video parts, or is that all you need to know to master Jquery? A great set of videos, Thanks! Is there anything additional that I should learn on top of these tutorials? Thank you very much 🙂 One thing that may help you is that I made a new AJAX and JQuery Tutorial since the one you are looking at. It covers everything in much more detail. I welcome any changes, or fixes you have made to the previous code. I’d love to see it. Just make sure you place the code between code tags so everything shows up. Wonderful videos, I really think they are great and I have learned a great deal. I wanted to review the code from the videos but cah’t find it on the site. Where do you keep the code developed in the video, so that I can have it open. This would be easier rhen viewing the little box with the code. a recommendation, is maybe create a video explaing the node concept (children, siblings) and how they are identified ib HTML page. I would like to thank you for posting all these wonderful videos. Your site pretty much acts as a one stop shop for everything I need. It is almost like an abstraction over the internet. Where can I find your code? Wow! What a resource for a learner on ajax and jquery to make dynamic web pages! I regret for finding this resource very lately! Great work! Thank you for your Smart work! Dude , you are epic . Thumbs Up . Amazing videos!!! !very very helpful.Thanks for making our life easy.